Middle-earth is about to become very crowded indeed. 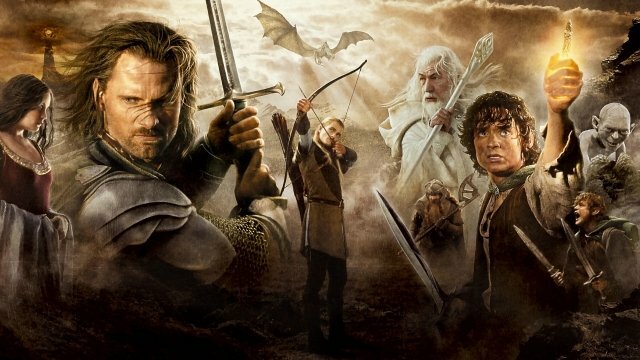 Back in November, we brought you the news that Amazon had mapped out plans for a “multi-season” adaptation of The Lord of the Rings, J.R.R. Tolkien’s literary masterclass that has fallen by the wayside since the release and subsequent success of The Hobbit trilogy. Fast forward to now, and The Hollywood Reporter has returned from The Shire bearing gifts: specifically, new intel pertaining to Amazon’s Lord of the Rings prequel series, which looks set to span a total of five seasons. Five. Seasons. “It’s very much a creature of the times. We are in an era where streamers are bidding up the price of programming. I think Amazon is taking a page out of the studios’ emphasis on franchises. They also are realizing that with the overproduction of television, you need to get the eyeballs to the screen, and you can do that with franchise titles,” Nelson says of the deal. Make no mistake, this is an incredibly complex and intricate deal, one which involves both New Line and its own parent company, Warner Bros., on the off-chance that Amazon wants to pull material from the existing movies when creating its TV series. Oh, and as if there wasn’t enough pressure already, THR suggests that Amazon has only two years to start production which, given the epic scale and scope of this project, isn’t very long. Touting a hefty price tag and more expectations than the last three Hobbit movies combined, Amazon’s Lord of the Rings series is still gestating in the formative stages of development, though we’ll be keeping a close eye on the project as it begins to take shape.